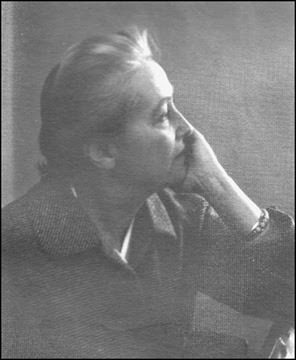 Helen Blumenschein, raised in New York and Taos, was the daughter of Ernest and Mary Blumenschein. 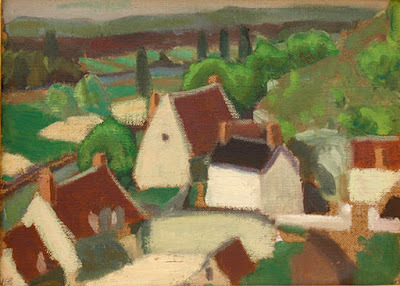 She studied in Europe under Andre Lhote and at Packer Collegiate Institute in Brooklyn. 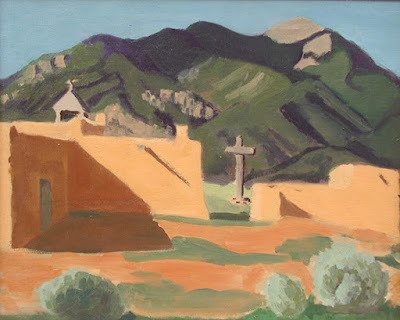 After her fathers death, she continued to maintain his Taos home and studio as a museum. 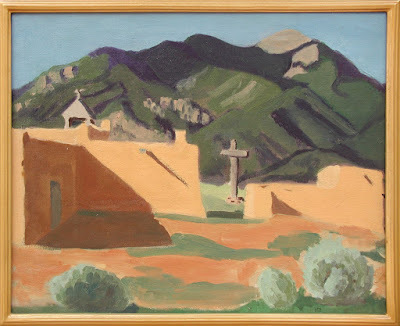 Helen Blumenschein’s major art works include: “Taos Morada,” “Ranchos de Taos Pasture,” “Deer Dance, Taos Pueblo,” and “New Oceana Sunset”. Helen Blumenschein published three books later in her life: Sights and Sounds of Taos Valley (1972), Petroglyphs in Rio Arriba County (1973), and Recuerdos: Early Days of the Blumenschein Family (1979). 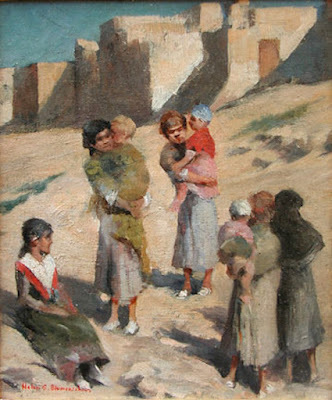 Helen Blumenschein’s work was exhibited extensively during her lifetime, with shows in many esteemed institutions, including: New York World’s Fair, National Academy of Design, Paris Salon, New Mexico Museum of Art, Carnegie Institute, and the Paris Salon. 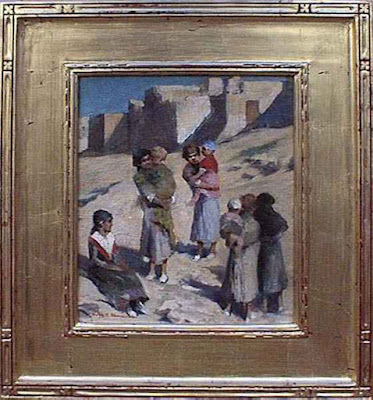 To this day, Helen Blumenschein’s works can be seen in the permanent collections of the Cincinnati Art Museum Association, the New York Public Library, the Library of Congress, the Newark Public Library, and the Carnegie Institute.